Problem: SMTP not delivering emails to a SharePoint list. It began innocently enough, a simple migration of an application from one SharePoint farm to another. Everything was going swimmingly, configuration was complete, then the Intranet crashed! Different web app from the application we moved, strange, but perhaps a unrelated? After several hours of troubleshooting with our friendly Sys Admin, we could not find anything functionally wrong. In Exchange 2010 there is a Contact, and existing Hub which the SA changed from one server name to another (Not rocket science right?). The DNS record was updated to point to the correct IP address, everything should have worked – except it didn’t. Where mine showed the IP address for the machine – which I left as it was. 4. SOS! I call the vendor and proceed to go through the same steps, verifying all the settings, so far so good. But wait, on the list that should have been receiving the emails (stuck in the drop folder by the way) we noticed a typo xxxx@@us.com. Fixed that, still no emails getting through. We also changed the In-Coming email address to the machine name.domain.global from the previous setting of “servicedesk.domain.com” thinking SMTP was confused. 5. The “crescent wrench” aka IISRESET did not fix the problem either. when it was working for 3 years with selecting that. for the Incoming Email service to list in the next step. 7. No change, still not working. 8. Resolution: After much philosophical discussion, the tech set the list to not receive email, refreshed the page, then changed the list to once more receive email…. wait for it…. SHAZAAM! The drop box cleared and my inbox exploded with alert emails. 9. The moral of the story? Perhaps check the simple things first, like when I’m troubleshooting someone’s home computer problem over the phone “Is the computer plugged into an outlet that has power, and is the power cord actually plugged into the back of the computer? Try setting another list to receive email! Make the list not accept email, refresh and change back to accepting email! 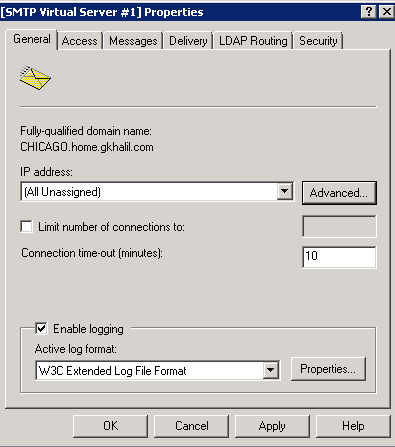 This entry was posted in SharePoint 2010 and tagged SMTP; Email delivery; Emailing SharePoint 2010 Lists by bdavisckmp. Bookmark the permalink.